We officially began our Mirkwood avalanche mitigation work this week by deploying the disruption roller. This unit disrupts shear plane layers within the snow and creates bonding between individual snow grains. These snowpack elements, if left undisturbed, could contribute to a future avalanche. The machine breaks down these weak layers helping to create a more unified basal snowpack structure. Additionally, the roller roughs up the snow surface enabling future snowfall to adhere to it. The roller essentially does the work of boot-packers without exposing any personnel into a potentially hazardous area. The roller has a drive motor and remote control steering that helps it drive off the ridgetop and down into the bowl. 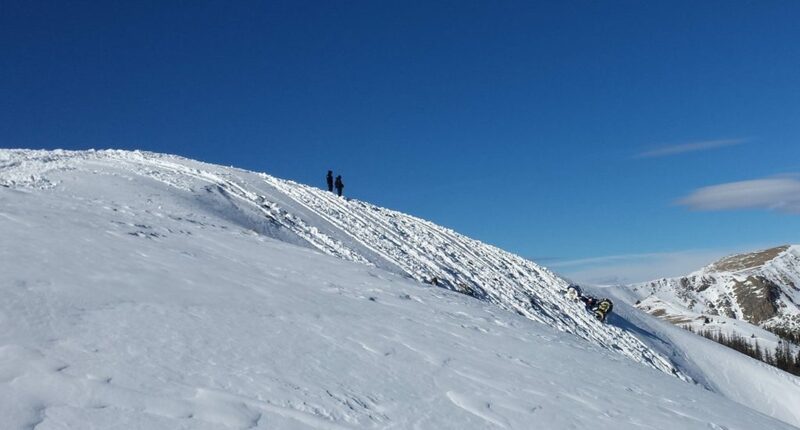 From there, gravity and the winch cat allow the unit to be lowered to the bottom of the avalanche start zone. 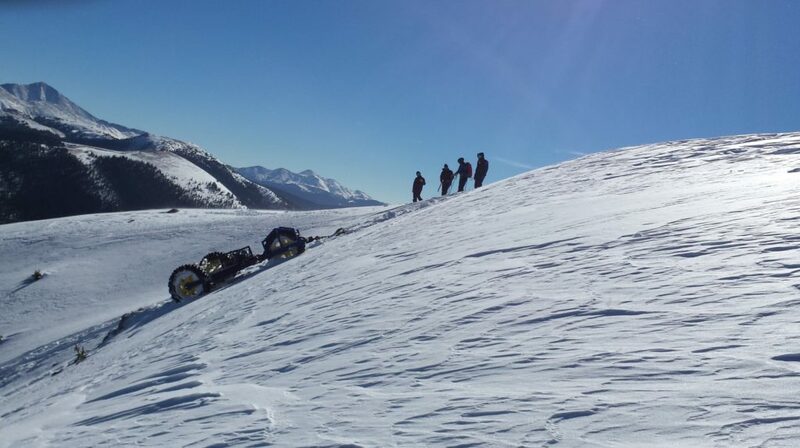 Once this area of the snowpack has been disturbed, the winch cable then pulls the roller back to the ridgeline. The roller can then be steered and lowered to an adjacent undisturbed area until the entirety of the start zone has been disrupted. We utilize the roller in our Mirkwood hike-to terrain and out in the Monarch Cat Skiing permitted area.